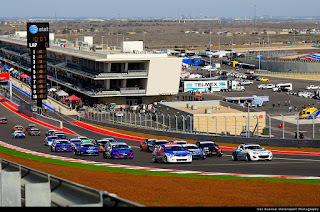 Three weeks earlier in Texas, the Touring Car and B-Spec categories of the SCCA Pirelli World Challenge began the 2013 season with three races at the Circuit of the Americas. Compass360 drivers Ryan Winchester and Brett Sandberg divided up the victories, with rookie teammate Remo Ruscitti completing the podium in all three events. At Mid-Ohio, RSR Motorsports’ Tom Dyer held off the Honda of America Racing Team (HART) entry of 2012 race winner Michael Valiante by just 0.455 seconds at the end of two hours and 30 minutes of hard-fought competition, to claim his first victory of the season with co-driver Andrew Novich. 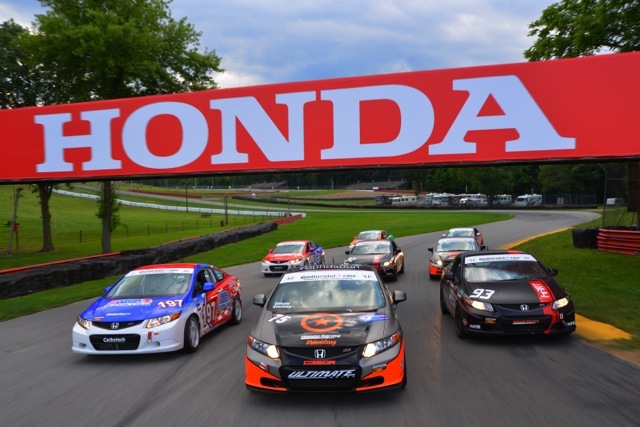 Chad Gilsinger, an engineer with Honda R&D Americas, started the HART Civic Si before handing off to Valiante mid-race. Ryan Eversley and Kyle Gimple finished third in their Civic Si, moving Compass360 Racing to the lead in the ST team championship, and drivers Eversley and Gimple to a shared lead in the drivers’ championship after five of 11 races. Dyer passed early leader Luke Wilwert, driving a second HART Civic Si, just after the race’s mid-point to take the ST class lead, and went on to lead the final 38 laps. But Valiante soon also passed Wilwert and closed on Dyer, as the pair renewed a rivalry that dates back to karting. A late-race caution bunched the field but Dyer held on for the victory. 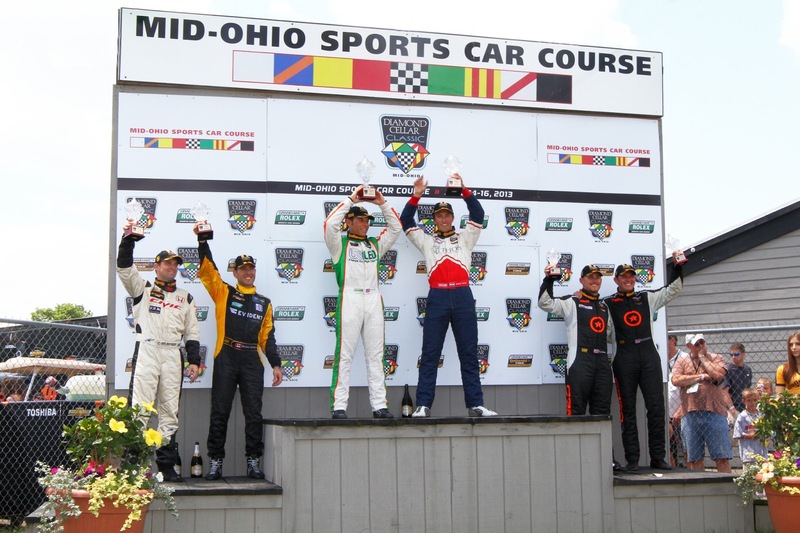 Click here for highlights from the Mid-Ohio race broadcast: http://bit.ly/1cf5NFf Next stop for the Continental Tire Sports Car Challenge is Watkins Glen International Raceway in upstate New York, on Saturday, June 29. In Texas, Winchester was a double winner in races run on Saturday, and topped off the weekend with a second-place finish on Sunday to take the early drivers’ championship points lead. After qualifying on the pole for Race 1, Winchester went flag-to-flag in both 25-minute races on Saturday, with Ruscitti finishing second in the opening race. Sandberg took the runner-up slot in the second race, with Ruscitti third. On Sunday, it was Sandberg’s turn to take the checkers for his first Pirelli World Challenge victory, pulling out to a 5.5-second victory over Winchester. Ruscitti again ran third, with Jon Miller fourth in a Shea Racing Civic, completing for a 1-2-3-4 sweep for Honda. The Touring Car and B-Spec divisions of the Pirelli World Challenge next travel to Lime Rock Park in Connecticut for another triple-header race weekend on July 4-6. Television coverage for the series can be found on the NBC Sports Network.